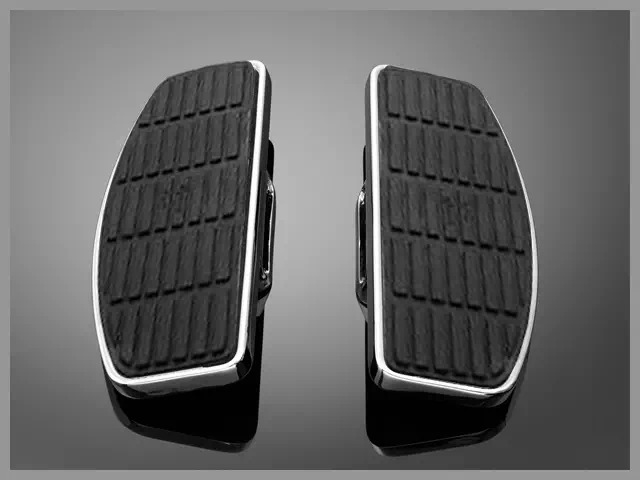 Paire de Marche-Pieds Pilote (Conducteur) Moto Kawasaki Custom (VN 800 Vulcan Classic, VN 800 Vulcan Custom) Highway-Hawk Classic Chrome. 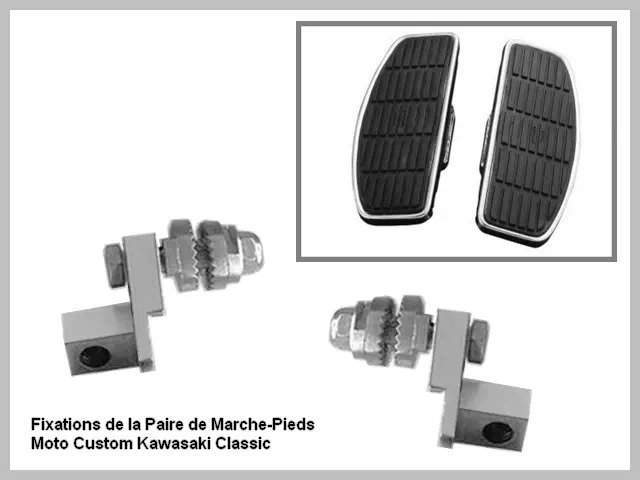 Paire Plateformes Repose-Pieds Kawasaki Custom - Marche-Pieds Kawasaki Custom Highway-Hawk - Marche-Pieds Kawasaki - Couleur : Chrome et Large Panneau en Caoutchouc Noir. 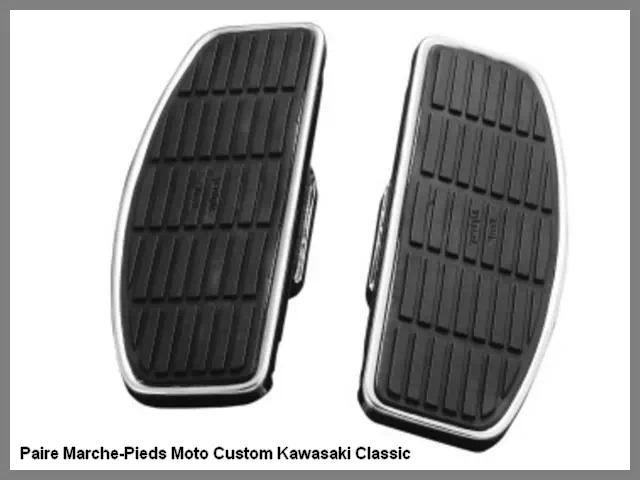 Paire de Marche-Pieds Pilote Classic Floorboard Chrome Kawasaki VN 800 Vulcan Custom. - Épaisseur Plateau de Marche-Pied Kawasaki Custom : 2 mm. 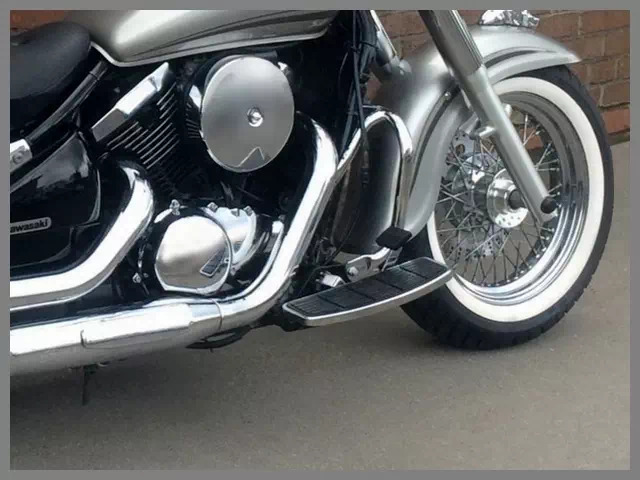 Paire Marche-Pieds Pilote Kawasaki Custom (VN 800 Vulcan Classic, VN 800 Vulcan Custom) Highway-Hawk Classic Chrome. 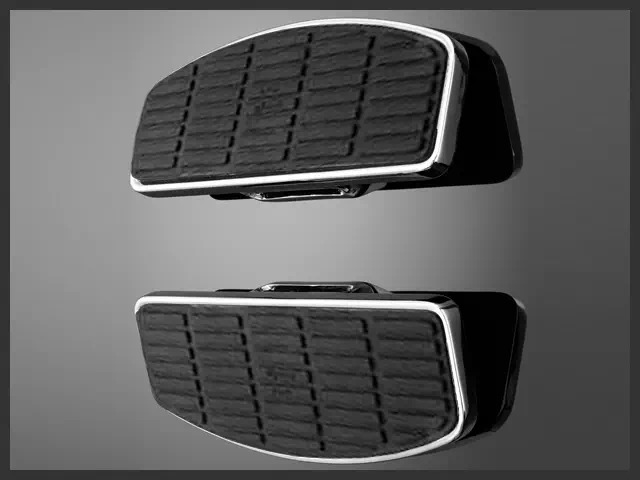 Acier Chrome avec Plateformes arrondi pour vos Reposer vos Pieds recouvertes de Caoutchouc Noir du plus bel effet. Motocyclette Kawasaki : Custom, Bobber, Touring, Big-Bike, Vintage, Cruiser, Relooking, Café-Racer, Bagger, Chopper, Préparation, Etc. 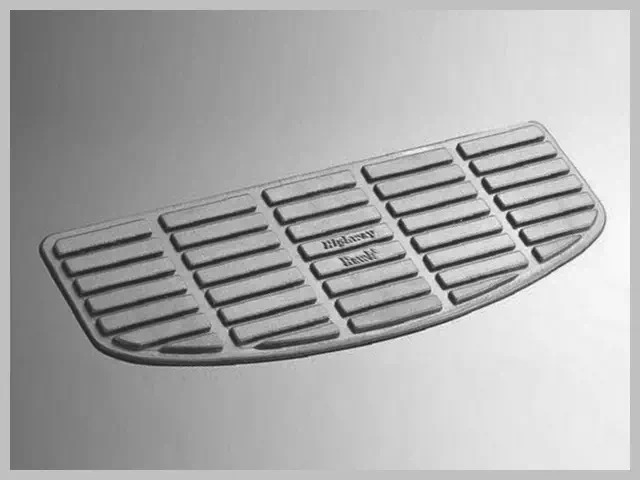 Plateformes de Pilotage (Conducteur) pour Moto Custom Kawasaki - Fixation à la place de vos Repose-Pieds Avants Origine Kawasaki (Vendus avec Fixations). VN 800 Vulcan Classic, VN 800 Vulcan Custom.